Andersonville: Well north of the hustle, but lacking none of the bustle, of some of the city’s more centrally located neighborhoods, Andersonville proclaims itself the “shop capital of Chicago,” and celebrates a vast network of local and independent businesses. Originally a Swedish neighborhood, later a lesbian-centric extension of Boys’ Town, and now fiercely proud of its diversity, Andersonville caters to world views writ large over a small-town vibe — and lets you live close to the lake without going bankrupt. Bucktown/Wicker Park: You’re not in a relationship, but you’re looking for one. Wicker Park and Bucktown offer fun, though perhaps a variety that isn’t trying as hard as the extended frat party of Wrigleyville. Eminently walkable — whether the destination is a Sunday brunch spot, live music on a Saturday night, or after-work cocktails. Vintage apartments made the area hip, modern condos followed as its trendiness grew. If you’re a Bucktown/Wicker Park resident, you’ve arrived in more ways than one. Lakeview/Wrigleyville: OK, let’s get this straight — technically, Wrigleyville is in Lakeview, as is Boys’ Town, where straight is less a priority. Both are boozy, one is bawdy — and if you move in, all your friends from college are coming to hang out with you on the weekends. There’s music, there’s drinking, there’s baseball. Such is Lakeview that you can go from a high-rise along Lake Shore Drive to a Wrigley Field bleacher seat to a drag show along Halsted Street without needing a cab. In a couple of years, you might need a liver transplant, but you only live once, right? 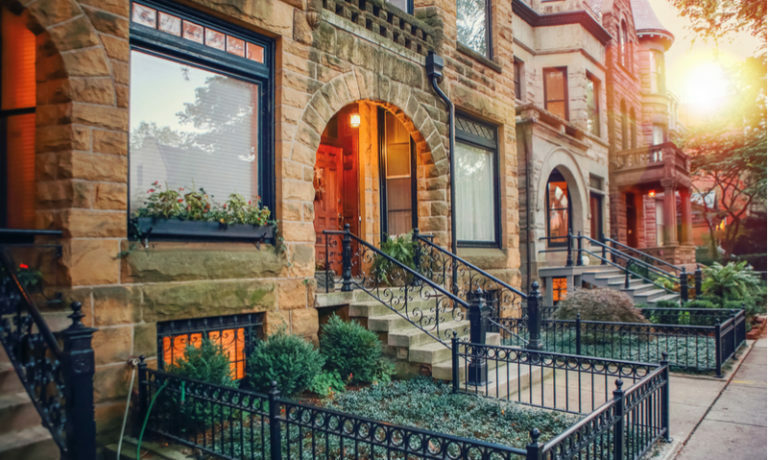 Lincoln Square: There are lots of single-family homes in Lincoln Square, so naturally it’s a great place to look if you’re interested in putting down roots. There’s a Lincoln Square station for the CTA’s Brown Line, so getting downtown is easy. From the abundant green space to the Old Town School of Folk Music, this area stakes out different priorities than many urban neighborhoods, without forcing you to choose the strip malls and drive-thrus of suburbia. Noble Square: Noble Square is tucked between Wicker Park and Ukrainian Village, both of which have better name recognition — for now. Largely residential, historically Polish, quickly revitalizing. This is a place to be sneaky hip, with access to all that is overtly on trend. Old Town: Bohemian, artsy, a bit odd and super funny. If that’s you, this is your neighborhood. The Second City, the iO Theatre and Zanies — comedy institutions all — call this neighborhood home. The Old Town Art Fair is one of the great summer events in a city that does summer events like nowhere else. Close to the lake and downtown, but most of the housing stock keeps a low profile — unlike the extroverted residents. River West: Loft conversions, newly constructed townhomes and renovated two- and three-flats offer reasonable alternatives to pricier options across the Chicago River. River North, Little Italy, Greek Town and more are short cab rides away. Few locations put as much at your doorstep while maintaining a sense of being out of the way. Roscoe Village: Springing up around an amusement park, Riverview, that opened in 1903, Roscoe Village has lots of two-flats that attract young families and young professionals who want to enjoy neighboring Lakeview at more reasonable prices. A little quiet, but very cool — and if you haven’t been to Beat Kitchen, you can’t claim to really know the Chicago music scene. Ukrainian Village: Live the authenticity. It is not uncommon to see signs in shop windows in Ukrainian. In the ’90s, it was not uncommon to see Liz Phair at the Rainbo Club. Churches are very important here, as are dive bars and delis. Much of the housing stock was constructed between the 1880s and 1920s, so old souls should feel right at home. West Loop: You have reached a certain level of refinement. Your palate appreciates the tastes of Randolph Street’s restaurant row. Your palette appreciates the breadth of a gallery scene unrivaled west of New York. Your palace — likely a converted loft or new high-rise — will appreciate the deft touch of the interior design and high-end furniture houses within easy reach. Speaking of easy reach, perhaps no other neighborhood combines access to downtown workspace and escape from the city as well as the transit-connected West Loop. Ultimately, Chicago is a city of neighborhoods, each with a personality. In its nine districts (each is a “side” — North, South, etc. — in local parlance) are some 77 defined community areas. There is a neighborhood for you.